As called for in Article 32 on International Cooperation of the UN-CRPD, the Council intensified forging of partnerships with global partners on disability. Last October 6 and 8, 2010 OIC Matt Lee, Jr., led dialogues with visiting foreign experts from Japan, Korea and Thailand representing Disabled Peopleâ€™s International-Asia Pacific, Nakhompathom Independent Living Center, Thailand Council of Independent Living Center and Network of Music and Arts of PWDs. 1. 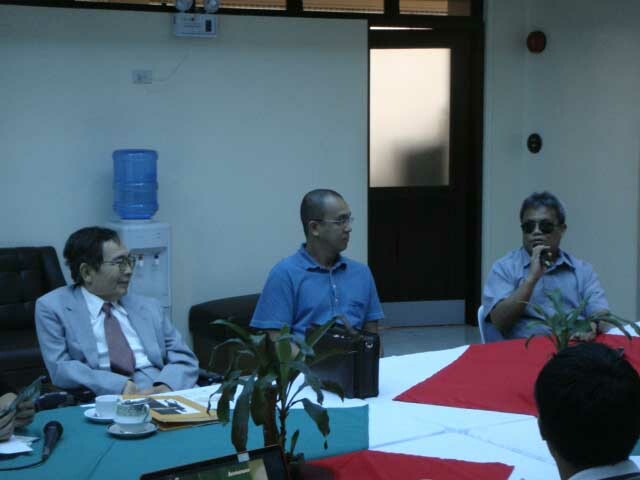 Disabled Peopleâ€™s International (DPI) – team led by Mr. Shoji Nakanishi, Chairperson, DPI, together with Ms. Suju Kwon, Program Officer, Toyota Foundation and Mr. Abner Manlapaz, President, Life Haven Independent Living Center shares CRPD local/Regional breakthroughs and concerns with Council officers and NHE-JICA Project Consultants. 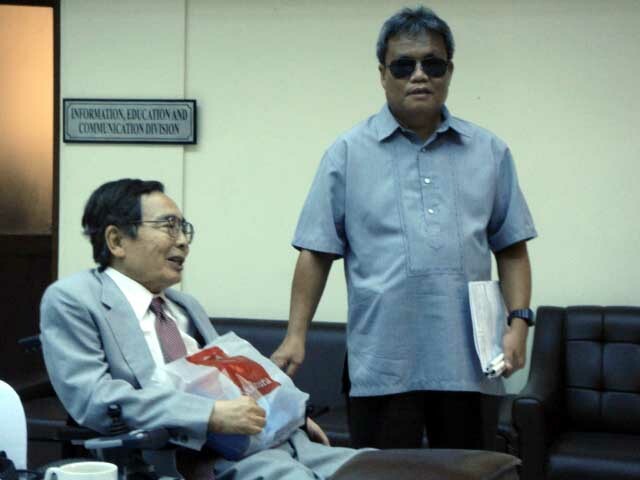 Mr. Nakanishi cites LifeHaven Independent Center's empowerment of severely disabled Filipinos, led by its President Abner Manlapaz. 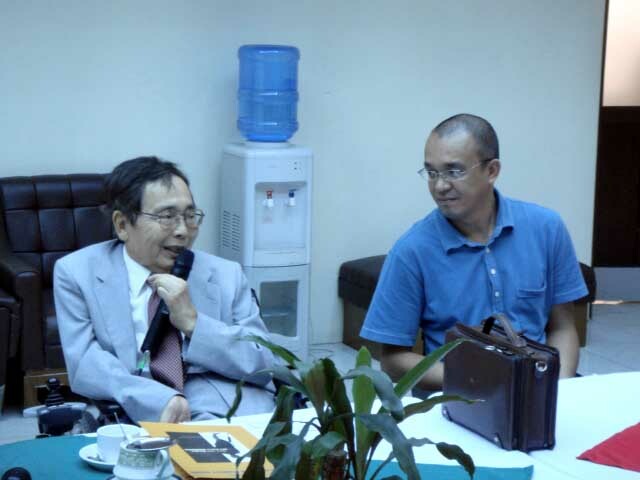 OIC Lee welcomes Mr. Nakanishi to NCDA and briefs him on NCDA's UN-CRPD initiatives and common concerns. 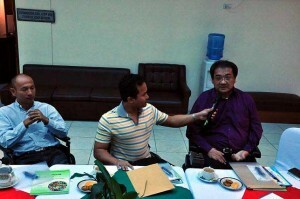 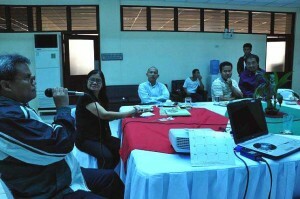 Ms.Suju Kwon, NCDA IECD Chief Zaldy Sanchez and Ms. Naoko Ito compare notes with Mr. Shoji. 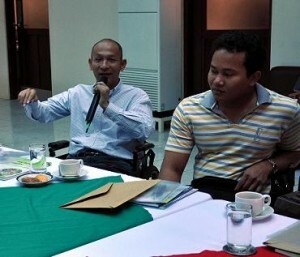 Officer-In-Charge, Mateo A. Lee, Jr. informed the group on the country's implementation of the "Convention on the Rights of PWDs." 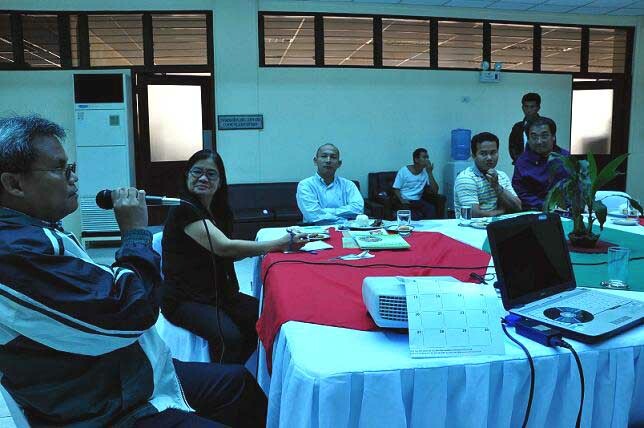 Officer-In-Charge, Mateo A. Lee, Jr. with the Officers and Staff of the Council, Ms. Nelia R. De Jesus, Chief, Technical Cooperation Center, Ms. Dolores Deang-Soterio, Chief, Programs Management Division, Mr. Miguel Antonio Limon, Information Officer IV, Mr. John Restie T. Hizon, Planning Officer, Ms. Josephine V. Despi, Project Development Officer and the NCDA/JICA NHE Project, Mr. Daisuke Sagiya and Ms. Naoko Ito, JICA Experts, greets the foreign experts on Independent Living from Thailand, Mr. Teerawat Sripathomsawad, Founder/Executive Director, Nakormpratum Independent Living Center, Mr. Paradorm Koomsup, National Project Advisor on Independent Living, Disabled Peopleâ€™s International Asia-Pacific Region (DPI/AP) and Mr. Sawang Srisom, Chairperson/Project Manager, Network of Music and Arts of Persons with Disabilities (NMAD). 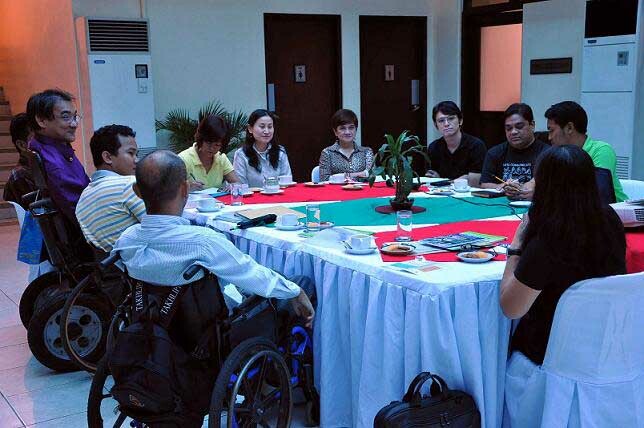 This dialogue on October 8, 2010 at the NCDA Atrium led to forging an agreement to push for Independent Living in the country, in a big way.